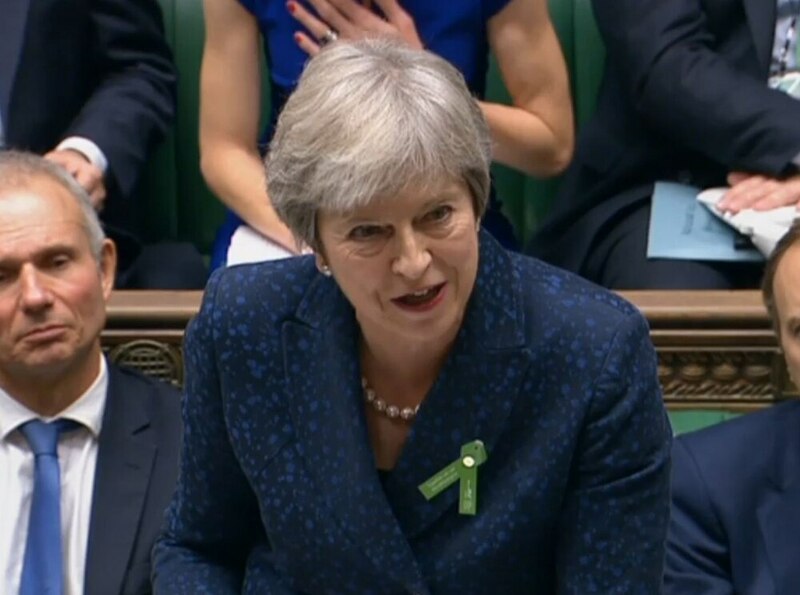 Jeremy Corbyn called on Theresa May to apologise to police officers in Staffordshire as the Prime Minister came under fire over cuts to the county's force. The Labour leader seized on complaints made by Chief Constable Gareth Morgan, who revealed he had to cancel officers' leave to ensure football matches could be adequately policed at the weekend. Mr Morgan attacked the Government over 'eight years of austerity' and said sorry to officers and their families for cancelling leave. Money & resources at the forefront of internal & external discussions. Unplanned for & totally unexpected changes to pensions @StaffsPolice means I need find £2m pounds savings to fund them next year. On top of £4m savings planned already. On top of 8 years austerity. The top officer in Staffordshire spoke out after revealing changes to pensions meant he would need to save an extra £2 million on top of £4m already planned. And Mrs May came under pressure in the House of Commons today as the Leader of the Opposition argued Mr Morgan's comments were evidence police budgets have been cut too far. 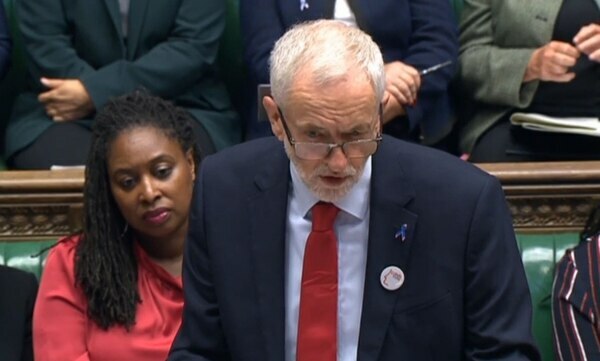 Mr Corbyn said during a heated Prime Minister's Questions: "Staffordshire Police has lost 500 officers. 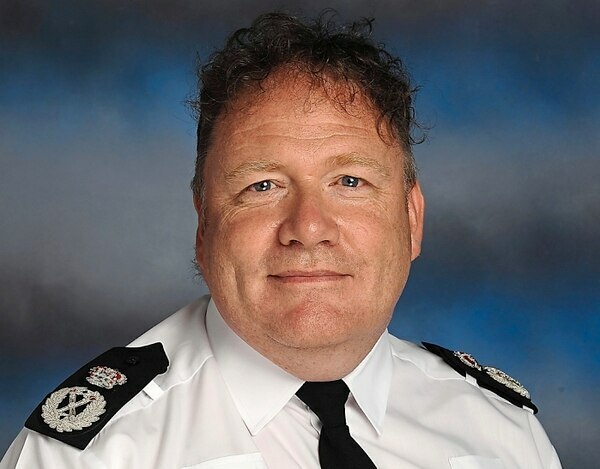 "On Sunday, the Chief Constable Gareth Morgan said sorry to his police colleagues and their families as they had to cancel rest days just to maintain the service. "He apologised to his officers - will the Prime Minister apologise to the police as well?" In a series of tweets, Mr Morgan complained about the situation the force finds itself in. As we welcomed & celebrated new officers (replacing those retiring) at their attestation, l sat in on a staff consultation meeting for colleagues "at risk" - dignified, proud & committed to serving the public. As it stands today @StaffsPolice will continue to reduce in size. All in a week when serious incidents stretched @StaffsPolice overall demand for service continues to rise & in the context of increased recorded crime. He said: "Money and resources at the forefront of internal and external discussions. "Unplanned for and totally unexpected changes to pensions means I need find £2m pounds savings to fund them next year. "On top of £4m savings planned already. On top of eight years austerity." He added: "Consequence of losing 500 officers (+100 staff) since 2010 and reduced budgets (means) Staffordshire Police no longer able to use overtime for pre-planned events. "Therefore cancelled rest days for some to cover football yesterday. Know the impact this has and I'm sorry to colleagues and families." The Prime Minister chose not to address Mr Corbyn's request for an apology, instead defending her record on policing. She said: "He talks about the police and about what is available for the police. Of course what we saw at the last election was the Labour party saying £300m should be made available to the police. What we have done is made available £460m to the police."